We are excited to announce that the Alfred P. Sloan Foundation’s Microbiology of the Built Environment (MoBE) program is offering up to 5 travel awards of up to $1,500 each to cover registration, accommodation, and/or travel for graduate students, postdoctoral fellows, or Assistant Professors who are submitting Extended Abstracts or Full Papers to INDOOR AIR 2018. INDOOR AIR 2018 is the 15th edition of the flagship conference of the International Society of Indoor Air Quality and Climate (ISIAQ). It will be convened in Philadelphia, PA on July 22 to 27, 2018, at the Pennsylvania Convention Center. The deadline for Extended Abstract and Full Paper submissions has recently been extended to January 29, 2018 11:59 PM PST. 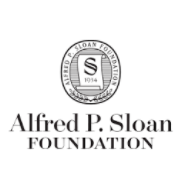 The Sloan MoBE program has had a strong research presence at the INDOOR AIR conference series in the past, and we are pleased to have their support in encouraging conference participation of early career scientists studying the microbiology of the built environment. Those applying for a travel award for INDOOR AIR 2018 should send a cover letter and short CV to IndoorAir2018 [at] gmail [dot] com with the subject line: “IA2018 MoBE Travel Award Application” by the paper submission deadline of January 29, 2018. Please reference your Paper ID number in the email as well. Award selection will be based on the quality of the submitted Extended Abstracts or Full Papers, the track record of the applicant, and the demonstrated need for financial assistance. Awardees will be notified approximately two weeks after the submission deadline.